U-Civic is a project implemented by Human Rights Youth Organisation (HRYO) in Italy, Asociación Civil Gurises Unidos in Uruguay, Centro de Estudios Paraguayos Antonio Guasch (CEPAG) in Paraguay and Biderbost, Boscán & Rochin (BB&R) in Spain. It falls within the framework of key action 2, namely cooperation for innovation and the good practices exchange, and specifically on the action of Capacity Building for Youth in ACP countries, Latin America and Asia. Funded with support from the Erasmus+ Programme of the European Commission. The premise to the project proposal is the decreasing political empowerment among European and Latin American young people. As a result, the quality of democracy could be described as undermined, above all among young people belonging to the poorest social classes. The main idea of the project is to use new technologies for civic education. 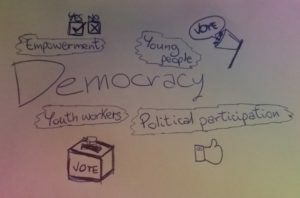 Generating new knowledge on how to support youth workers to increase the political competencies among new generations. Therefore, the “U-Civic” aims to: generate an exchange of good practices (between Italy, Paraguay, Spain and Uruguay) on which strategies really work and are attractive for the civic-political empowerment of new generations (specially youngsters with fewer opportunities). In addition, it is planned to set up a free virtual ToolKit for civic-political empowerment of new generations. In spite of the different environment where the organisations operate, they all have specific features which makes a significant contribution to the project. The HRYO is a non-governmental organisation which has as principal objectives the enhancement of human rights and the political empowerment of young people with fewer opportunities. The Gurises Unidos is devoted to the protection of human rights, especially about children and young people, their families, communities and vulnerable contexts in Uruguay. The CEPAG is an organization focused on the development of young people, above all workers and those who have fewer opportunities. The BB&R is an international consulting firm with a prominent role in the field of civic education for young people. All the four organizations have valuable experience of democracy-building and political accountability in vulnerable context, so they are fully qualified to operate in order to reach the objectives. Therefore, the promotion of political participation and empowerment is going to be pursued with good planning by the four entities, involving youth workers in implementing civic competencies. During the project HRYO is going to coordinate each step of the program and it will interface with the EACEA, the Education, Audiovisual and Culture Executive Agency of the European Commission. All the organizations will implement several activities, without overlooking the connection with the organizations and the administration at the local, regional and national level. The innovative element of the project, namely the creation of the Toolkit, is going to result from a process developed along the different phases of the implementation and, subsequently, its impact will be evaluated through the comparison of users and non-users. The implementation of the project foresaw a coordinating reunion, followed by online survey and a focus group aimed at collecting information about youth workers, possible content of the App and opportunities for young people. After the analysis of the results, the organizations realize the exchange of good practices through the involvement of workers and young people. At the end of this phase, the partners start to prepare the prototype of the Toolkit based on the needs of the participants. The organizations are going to collected feedbacks on the App and then they draw up its final version. After that, during a mobility in Montevideo a group of youth workers, selected from the four countries, are going to be trained about the use and the application of the Toolkit. 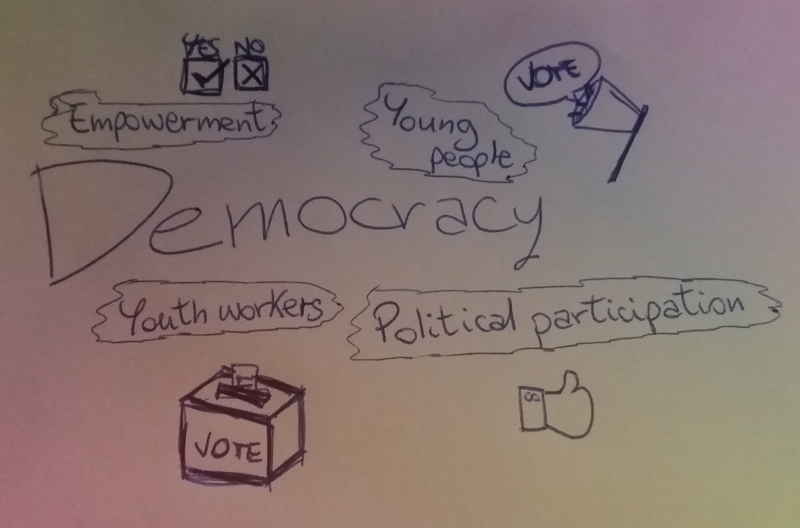 Therefore, the youth workers are going to experiment this digital support in their job, in order to foster the civic competences like active citizenship, political knowledge, political attention, political participation, political efficacy and political tolerance. The project will continue through another mobility aimed at evaluating the impact of the App. Based on the experience, the partners will create a digital handbook on the use of the Toolkit. At the end of the project the free App will be uploaded on Google Play/iTunes Store and then the partners will promote the use of the App by planning national meetings. The project provides for training resource materials, training tools for youth workers, meeting, report and tools fostering young people’s key competencies. The main outcomes that will result are: training methods for youth workers and trainers, cooperation, networking and peer-learning activities, methods fostering young people’s key competencies. The project’s results will be disseminated through web page, social networks, strategic meetings involving firms, videos and e-books; workshops and the publication on the Erasmus + Project Results Platform.